If you are fortunate, you have come across a book or two that has deeply impacted your life. 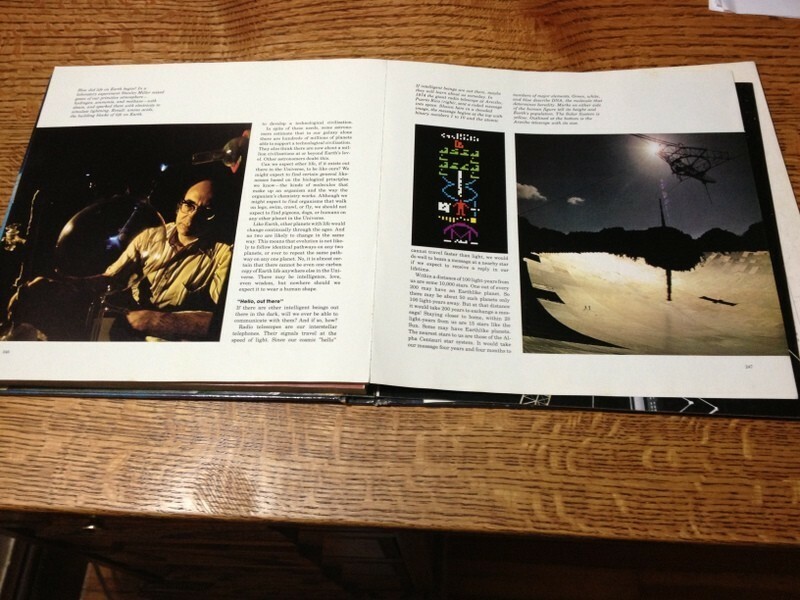 One such book for me is by Roy A. Gallant: The National Geographic Picture Atlas of Our Universe. 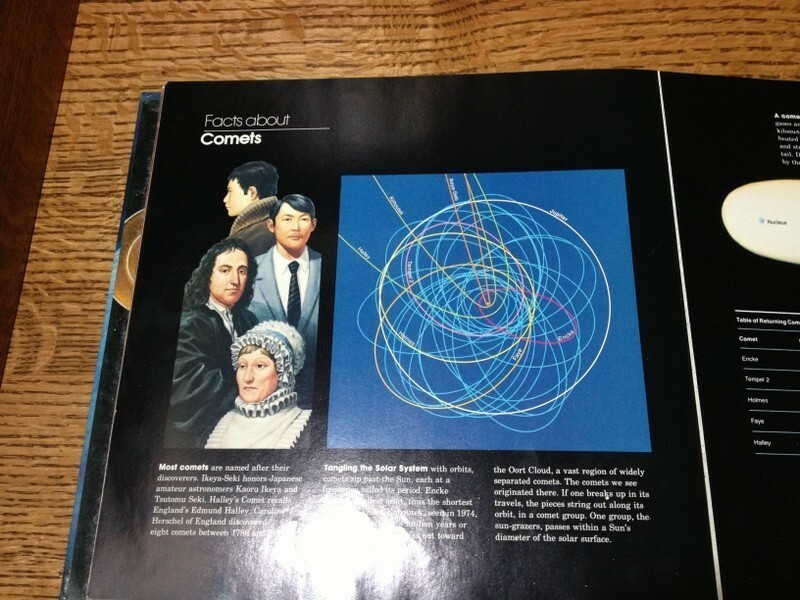 I was interested in astronomy and things science at a young age, and in the Fall of 1980 a new series on astronomy called Cosmos began to air. Every Sunday evening that Fall I watched Carl Sagan explain the universe to me. The last episode of Cosmos aired on the 21st of December. Then on the 25th, my Grandmother gave me the book you see below. It’s hard to describe the impact this book had on my childhood. It is a book that changed my view of the universe. Every page is rich with color images and diagrams. The writing is clear enough for a child, but not written in a condescending or belittling tone. 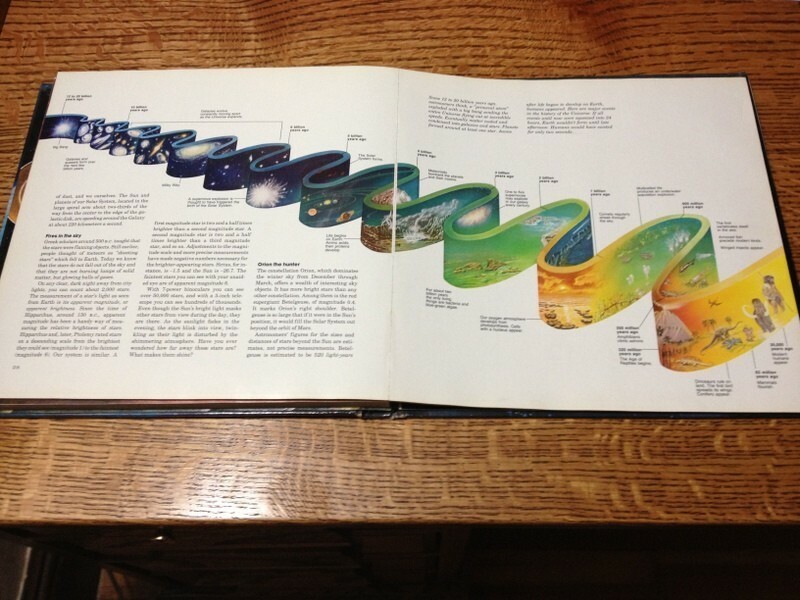 It contains facts and figures on everything from the size of our galaxy to history of life on Earth. Coming off the Sagan high, it was exactly the book I needed to learn more, and I devoured it. I read it cover to cover, over and over. I memorized the facts and figures it contained. 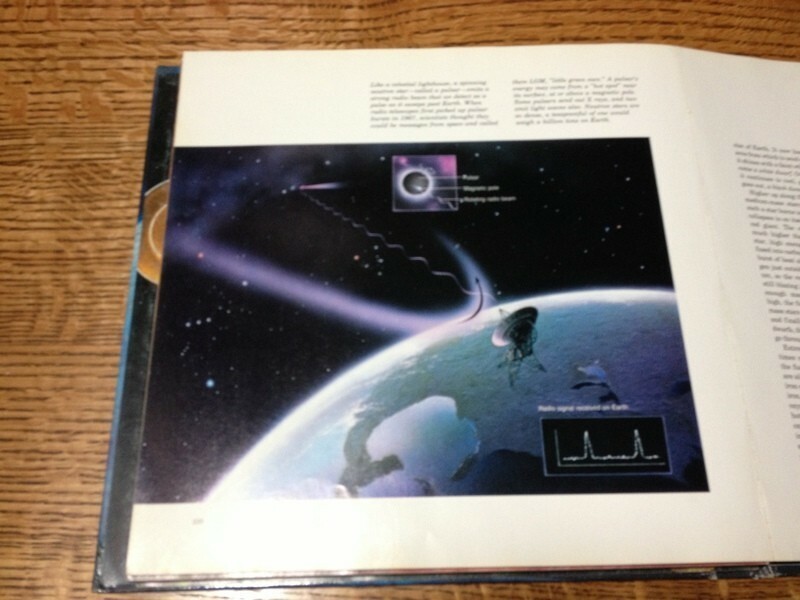 The book also came with a “Space Kit” that included a flimsy record called SpaceSounds with recordings of things like pulsars and whalesong, and a star wheel to help you navigate the night sky in your backyard. 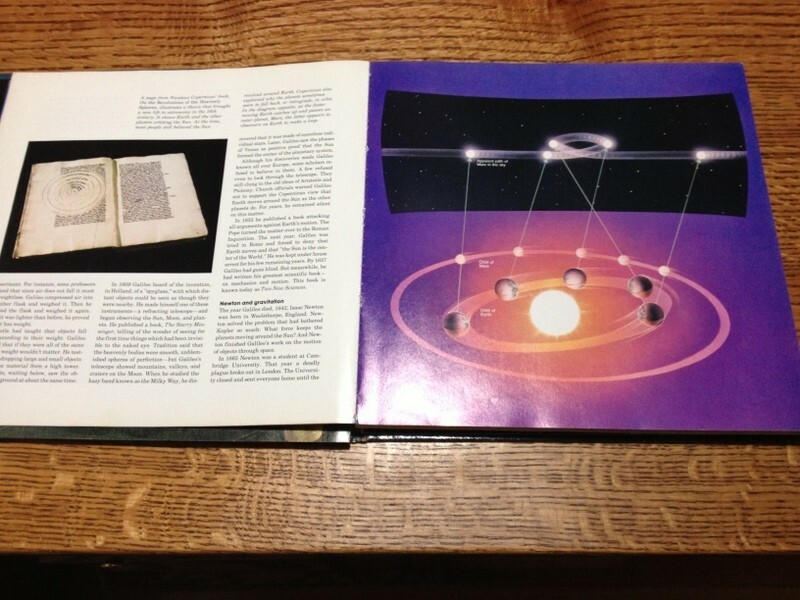 My Grandmother didn’t give me the book intending for me to be an astrophysicist, or even imagining I might become a scientist. She simply saw an interest I had and wanted to encourage it. As she once put it, “That boy needs an education. A real job would kill him.” But sometimes small gestures can have large impacts. It’s all a part of living in our universe. 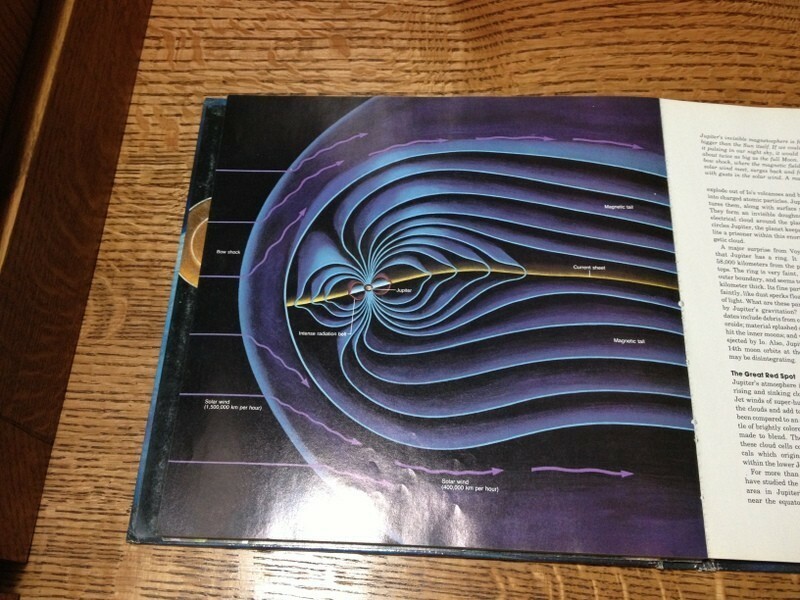 We had this book in my school library back in the 80’s. I couldn’t get enough of it, and eventually went on to study astrophysics at university (definitely in-part because of this awesome book). I have this book and recall getting it as a child. I didn’t take the path you did in my career, but it was a defining childhood book nonetheless. Every page was amazing to my little mind. 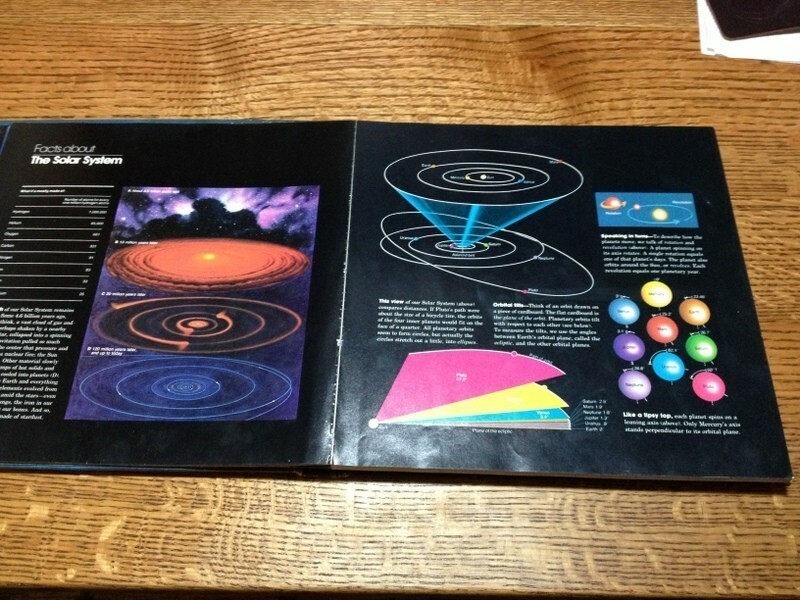 This book & Cosmos were my LIFE when I was a young boy. Thanks for the memory jolt. My parents didn’t have a TV in the house in 1980 but they did have this book. My dad was a chemist, I literally grew up having science journals read to me. Every scientist I’ve known has been far more optimistic about it than the non-scientists. 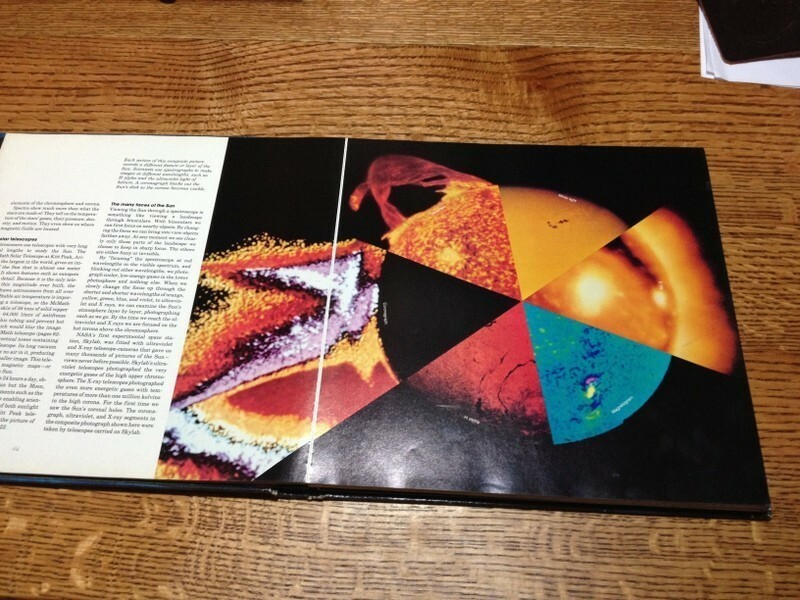 It was an artist that created that cover but the artist was inspired by the contents. We need more iconic, accessible, inspirational books like that one. Oh man, I LOVED that book as a child! Unfortunately I lost mine in a forest fire and couldn’t remember the name. Thank you so much for posting this! I have been wanting to get this for my kids (and my library)! Keep up the great work Professor!